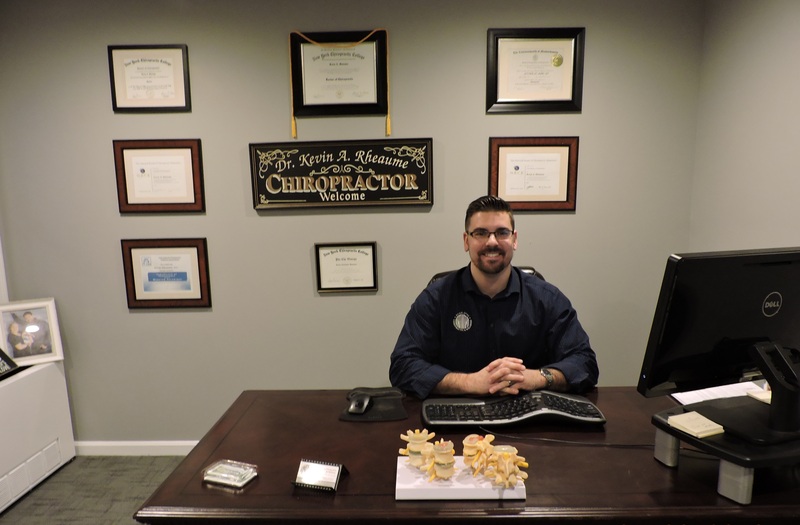 Dr. Rheaume was first introduced to benefits of Chiropractic care after receiving treatment for auto accident injuries when he was very young. Dr. Rheaume was also greatly inspired by Chiropractic after hearing his Father’s success story. His father was involved in a horrific auto accident and other physicians stated that he might not be able to walk well, if not at all from his injuries. This was very discouraging because he was a college baseball pitcher at the time. In summation, after receiving Chiropractic care, he was able to pitch the following season. The majority of Dr. Rheaume’s family has either been under Chiropractic care or enjoys receiving routine maintenance care. Dr. Rheaume enjoys regular Chiropractic care himself, in order to complement a healthy lifestyle. Outside of the clinic, Dr. Rheaume enjoys exercising, bike riding, playing basketball, hiking, kayaking, snowmobiling, snowshoeing, chess, reading, DIY projects, and spending time with his wife and daughter.